Welcome to Credo’s digital marketing pricing survey results. We released the first version of this survey in 2017 (link here) and updated it for 2019. These survey results comprise answers from 271 marketing agencies and consultants across the United States, United Kingdom, and various other countries. Do you charge an onboarding fee? Of course, there are other insights we could have analyzed and pulled out from the data. To that end, we’ve made the full data available here so that you can analyze it, pull out insights, and even correct us if we did something wrong! We asked more in-depth questions about types of services offered, marketing channels offered, and things like whether they charge an onboarding fee. This year we made an effort to provide an agency rate sheet and to get down to a specific average hourly rate for the various company sizes. If you’re looking to hire a digital marketing firm to help you grow your business, download our guide to hiring a digital marketing agency! 1 Demographics This chapter outlines the demographics of the survey respondents. 2 SEO agency and consultant rates The rates for SEO agencies and consultants from the digital marketing industry pricing survey. 3 PPC agency and consultant rates The rates for PPC agencies and consultants from the digital marketing industry pricing survey. 4 Facebook advertising agency and consultant rates The rates for Facebook advertising agencies and consultants from the digital marketing industry pricing survey. 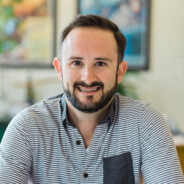 6 Digital marketing agency and consultant hourly rates These are the hourly rates for digital marketing agencies and consultants from the 2019 survey. 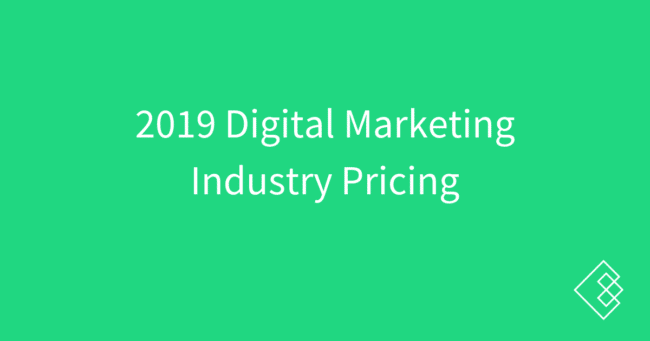 8 Takeaways These are the main takeaways and quotable insights from the 2019 digital marketing pricing survey.